Robert Hu, 15, is a sophomore at Palos Verdes Peninsula High School (PVPHS). Robert is deeply grateful for Mr. Elmer Su, who's devoted mentoring has guided his violin studies since the age of six. 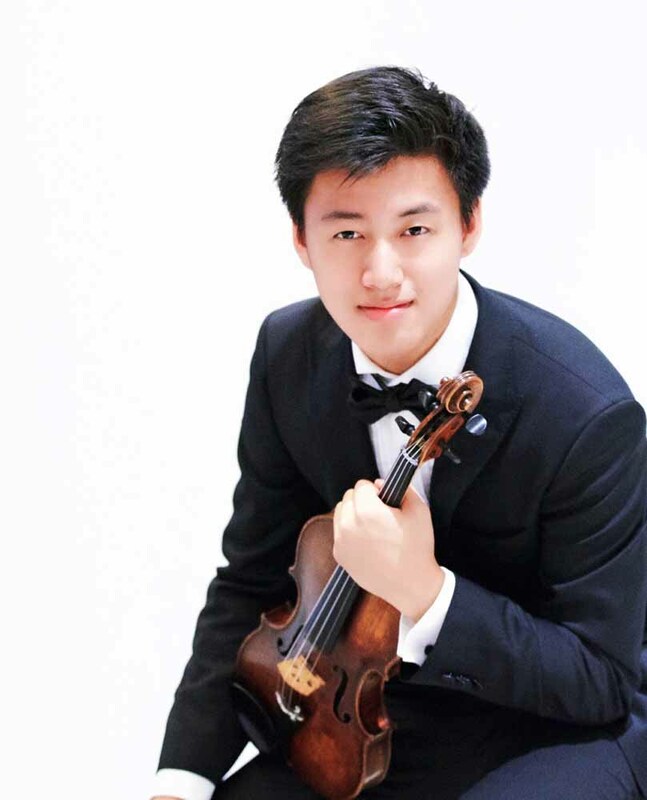 Currently, Robert is serving as the Concertmaster of the Palos Verdes Regional Symphony Orchestra (PVRSO) and as the Associate Concertmaster of the PVPHS Symphonic Orchestra. Robert has had solo appearances with the PVRSO, the PVPHS Symphonic Orchestra, the Festival Orchestra at the Southwestern Youth Music Festival (SYMF), and the Bellflower Symphony Orchestra. In addition, he was invited as a Guest Artist at the LA Philharmonic Affiliates 90th Anniversary Spring Celebration in 2013 and performed at Carnegie Hall with his trio in 2014. Robert has won many awards, including the MTAC Artists of the Future Concerto Competition, Grand Prize in the Young Violinist Concerto Competition, American String Teachers Association LA Finals, the MTAC Voice, Orchestral, Chamber, and Ensemble (VOCE) State Violin Solo and State Ensemble Finals, and the Schoenfeld International String Competition. Robert has been featured in the April, 2016 issue of Southbay Magazine’s “19 Under 19”.